This map started as one of my #mapvember maps, but ended up being a bit too arduous. So, I left it aside for awhile and later finished all that piping around the map (which too some time to draw btw 😀 ). 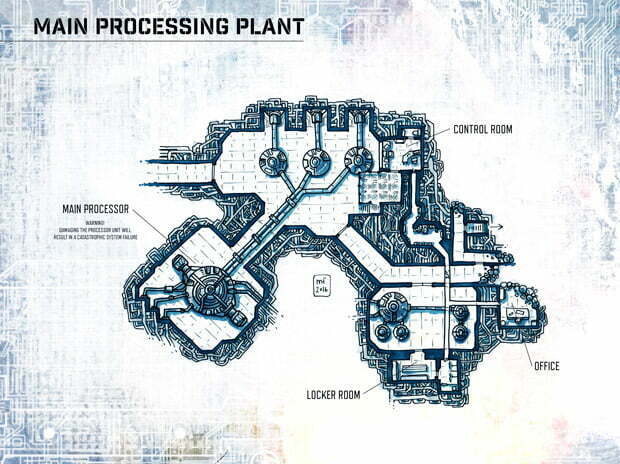 I think this map works great as a section of a factory or even an atmospheric processor.